At my house, the weekend is the time to clean up and relax but the other day my husband asked me if there were any projects I needed his help with over the weekend. That got me thinking. I have a good long list of things that need to get done but what could be done in just a weekend? Well, here is my list of projects that we’ll be doing over weekends. I’m really excited about it! 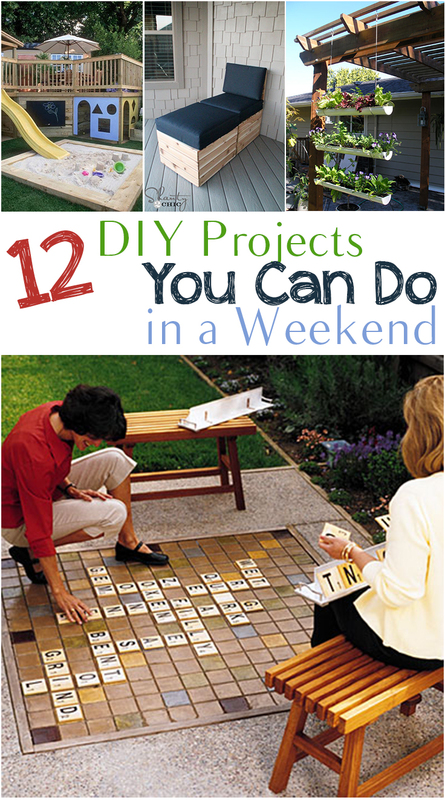 backyard projectsDIYhomehome decoroutdoor diypizza ovenProjectsscrabbletutorialsyard gamesYard.